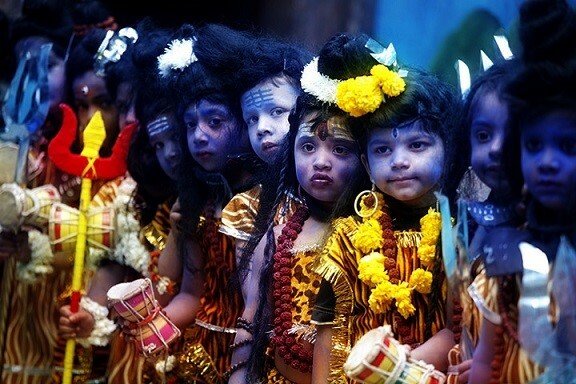 Maha Shivaratri is a Hindu festival celebrated annually in reverence of the god Shiva. It is the day Shiva was married to the goddess Parvati. The Maha Shivaratri festival, also popularly known as ‘Shivaratri’ (spelt as Sivaratri, Shivaratri, Sivarathri, and Shivarathri) or ‘Great Night of Shiva’, marks the convergence of Shiva and Shakti. Chaturdashi Tithi during Krishna Paksha in month of Magha is known as Maha Shivaratri according to South Indian calendar. 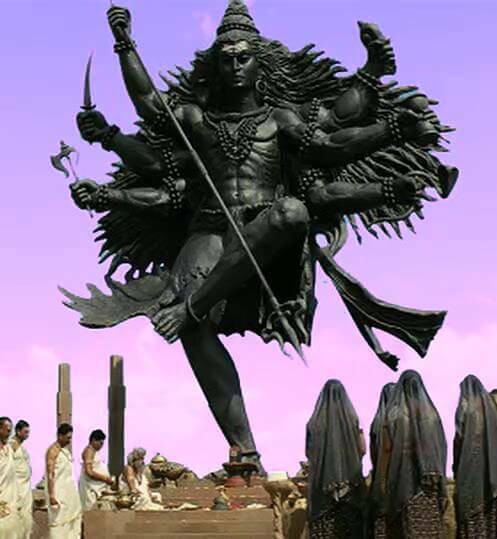 However according to North Indian calendar Masik Shivaratri in month of Phalguna is known as Maha Shivaratri. In both calendars it is naming convention of lunar month which differs. However both, North Indians and South Indians, celebrate Maha Shivaratri on same day. Of the twelve Shivaratris in the year, the Maha Shivarathri is the most holy. The legends signify that this day is the favorite of Lord Shiva and also throws light on his greatness and the supremacy of Lord Shiva over all other Hindu Gods and Goddesses. In honour of Siva, one of the Hindu Trinity, representing the destructive aspect in the universe.Though generally, the night time is considered sacred and suitable for the worship of the feminine aspect of’ the deity and the day time for that of’ the masculine, yet on this particular occasion Siva is worshipped during the night time, and as a matter of fact, it is specially enjoined to be observed then. The observance of the Vratha is believed to secure for the devotee immunity from the eftects of sin committed either wittingly or unwittingly. The night is divided into four quarters, each quarter going by the name of a Jama called also Yama and pious people keep awake during every one of it , worshipping Iswara. The festival is principally celebrated by offerings of Bael leaves to Shiva, all-day fasting and an all-night-vigil (jagaran). All through the day, devotees chant “Om Namah Shivaya”, the sacred mantra of Shiva. Penances are performed in order to gain boons in the practice of Yoga and meditation, in order to reach life’s highest good steadily and swiftly. On this day, the planetary positions in the Northern hemisphere act as potent catalysts to help a person raise his or her spiritual energy more easily. The benefits of powerful ancient Sanskrit mantras such as Maha Mrityunjaya Mantra increase greatly on this night. There are many incidents told about the greatness of this day. Once a hunter in a jungle after searching throughout the jungle, was quite tired and could not get any animal. In the nightfall a tiger started chasing him. to escape from that he climbed a tree. That was a Bilva tree. The tiger sat under the tree waiting for him to come down. The hunter who sat on a branch of the tree was quite tense and didn’t want to sleep. He was plucking the leaves and putting down as he was not able to be idle. Below the tree there was a Shiva lingam. The whole night went on like this. God was pleased with the Upavasa (hunger) and the Pooja the hunter and the tiger did even without knowledge. He is the peak of the grace. He gave the hunter and the tiger “Moksha”. The drenching rain constituted a bath and his action of throwing the bael leaves on the Shiva Lingam, the worship of Shiva on the Shivaratri night. 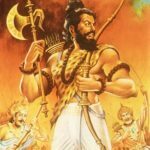 Though his actions were not intentional to worship Shiva, yet he is said to have gained heaven as he had observed the Shivaratri Vratha unwittingly. Once Parvati asked Lord Shiva which devotees and rituals pleased him the most. The Lord replied that the 14th night of the new moon, in the dark fortnight during the month of Phalgun, is his favorite day. Parvati repeated these words to Her friends, from whom the word spread to all creation. According to the Shiva Puran, six items are regarded precious to worship and offer Lord Shiva in Maha Shivaratri. The six Items are Beal fruit, Vermilion Paste (Chandan), Food Items (Prasad), Incense, Lamp (Diyo), Betel Leaves. 1) Beal Leaf (Marmelos leaf) – offering of Beal Leaf represents purification of the soul. 2) Vermilion paste (Chandan) – Applying chandan on Shiva Linga after washing the Linga represents good feature. Chandan is inseparable part of Worshipping Lord Shiva. 3) Food items – Food items such as rice and fruits are offered to the Lord to ensure a long life and fulfillment of desires. 4) Incense (Dhoop batti) – Incense sticks are lit before Lord Shiva to be blessed with wealth and prosperity. 5) Lamp (Diyo) – The lighting of Cotton handmade batti , lamp or diyo is believed to be helpful to gain knowledge. 6) Betel leaves (Paan ko patta) – Beatle leaves or Pan ko pat represents satisfaction with maturity. Also read: Why Shiva was always high on marijuana being a GOD? Shiva Puran states, the beat of Damaru revealed the first seven letters of music. Those notes are source of language too. 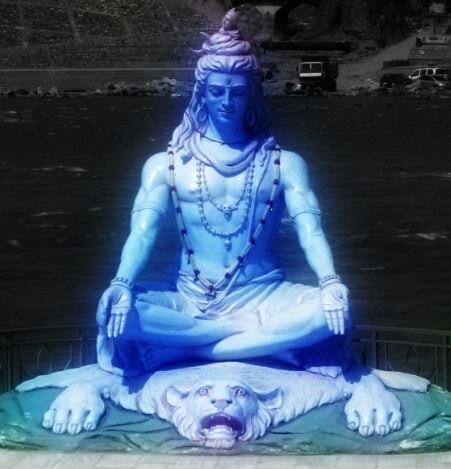 Shiva is inventor of notes of music Sa, Re, Ga, Ma Pa, Dha, Ni. He is worshiped as inventor of language on his birthday too. The Shiva linga is washed with Pancha kavya (mixture of five products of cow) and Panchamatrit (mixture of five sweet things). Pancha kavya includes cow dung, cow urine, milk, Curd and Ghee. Panchamrit includes Cow milk, Yogurt, Honey, Sugar and Ghee. In front of the Shiva Linga Kalash (Medium size vessel with small neck) filled with mixed water and milk is set. The neck of the Kalash is tied with white and red piece of cloth. Flower, mango leaves, peeple leaves, beal leaves are kept inside the kalash. Mantras are chanted to worship Lord Shiva. 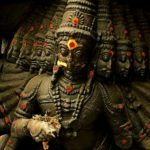 The indian devotee visits many big and small shiva temples to do their offerings and pray. The 12 Jyotirlingas are the famous of them all. Credits: Photo credits to the Original Photographer.